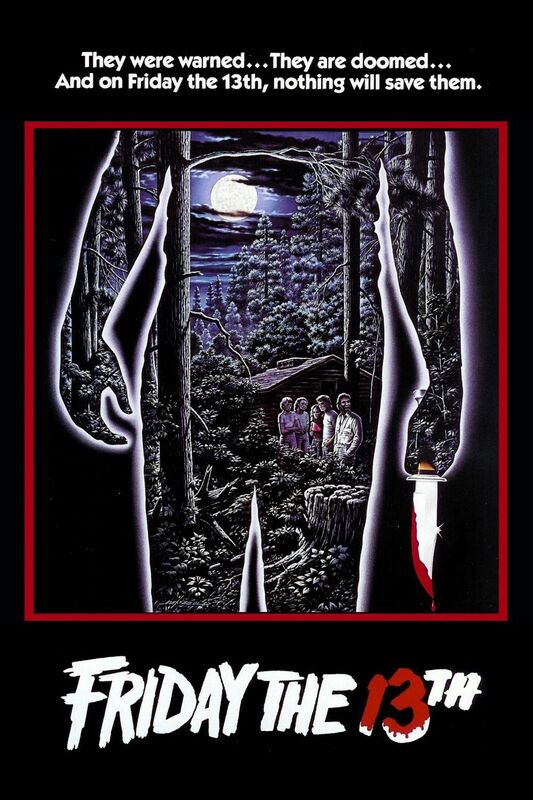 Even though today is Friday the 19th, it doesn’t take away from the fact that this week’s spooky spectacular horror review is on the 1980 classic, Friday the 13th. Spawning ten sequels, this film is yet another introduction to a new film franchise for me and one that has left a huge impact on the horror movie genre overall. Whether or not people have seen these movies, they are aware of them in some way. What’s interesting (and a great comment by my guide, Deadite) is that there is really no mention at all of the movie even taking place on Friday the 13th; in fact the movie was originally titled “A Long Night at Camp Blood”, which makes more sense to what the movie is really about, but maybe not as attention grabbing as Friday the 13th. I mean, Friday the 13th is supposedly a day for bad luck, not a day of horror, right? Well, it certainly was a horrifying day for the characters in this movie. Plot: The story is very straightforward, and definitely not the reason why one would want to see this movie. Essentially, a horrible unsolved murder at a summer camp led to its closure for a number of years. The camp is now getting ready to re-open after some time, but as the student volunteers are getting everything set up, murders begin to happen again. What seems odd to me is how little concern everyone has about the disappearances of their friends. It’s not until the final thirty minutes of the movie or so that people start to wonder, “oh, where’s Johnny? I guess I’ll go out looking for him”. What’s even more bizarre is one member of the camp staff never actually makes it to the camp and nobody seems bothered by it at all (I will say, she was super annoying with the little camera time she had). Poor Annie, if only weren’t so annoying maybe you would have lived. Probably not though. Acting: Similar to the plot, this is nothing to write home about. The acting is adequate, especially for actors trying to portray horny college students at their summer job. Seeing a young Kevin Bacon was pretty funny (I can add another movie to the 6 degrees of Kevin Bacon game) and Adrienne King (who plays Alice Hardy) had some minor roles in film in the 80’s and 90’s, but apart from them no one else in this film has had much of an acting career. Don’t get me wrong, they do great in selling their screams and fear on the screen, they just aren’t winning any awards for their efforts. Suspense: Here is where I personally felt the film did a great job. Having some of the camera shots putting you in the perspective of the killer is neat. At the same time, for most of the deaths, you know the person is about to die, but you don’t quite know how. Whether it’s a stabbing from under the bed or an ax in the face, you are surprised when the death finally occurs. I would also say (spoilers) I was surprised nearly everyone died, just leaving Alice in the end, but even Alice suffered a horrific attack on the boat that I totally didn’t see coming. I really thought for a minute all the kids were going to die, but then they showed Alice in a hospital bed recuperating even though nobody claimed to have seen Jason coming out of the water. Furthermore, I was so wrong about who the killer was. Maybe this is because of my ignorance of the film franchise and how it actually plays out over the movies, but I honestly can say I thought the whole time it was Jason killing everybody, not the old lady. I even joked with Deadite during the movie saying “dude, we should make a horror movie where the old lady is the killer. No one would expect Betty White to kill anybody”. I give props to Deadite for giving me a straight face and not spoiling it for me, but also, Deadite’s a douche for making me say a dumb comment in front of him. Watching Alice continually hiding and ultimately fighting back against the old lady also built great suspense in whether or not she would actually survive. Gore/Violence: This movie was on par with what I saw in Nightmare on Elm Street in regards to gore and violence. I mean sure, sliced throats and having your body held up to a door by arrows is gruesome, but it was done sparingly which I think paid off with a good balance of suspense and violence. Even though the camera time is literally 2 seconds, seeing Jason all scarred-face and disfigured coming out of the water was pretty cool too. However, the most violent scene is also the biggest surprise of all - I can’t believe Alice decapitated that old lady! Just when you thought it was over, the old lady jumps at Alice at the beach and tries again to kill her. They had a hell of a fight on the beach, showcasing the super creepy and determined look of the old lady trying to kill Alice. Alice did what she had to do for this Friday the 13th to finally be over. Other thoughts: The music in the film is the epitome of a slasher horror film. Having the screeching string instruments during the turbulent times, and then having the lower string instruments (bass and cellos) giving dark tones in times of suspense added such a great atmosphere for the movie. The movie itself was riding on the success of Halloween two years earlier, and with a small budget of $550,000 it brought in nearly $60 million at the box office globally. In addition, I liked how this movie was not at all what I expected. I thought I was going to see hockey mask Jason terrorizing a neighborhood. Deadite mentioned to me how that Jason doesn’t appear until the third Friday the 13th film, and we even had a conversation about watching that movie instead. I’m really happy though we started with the first film. I also liked how this film seemingly is the first successful film to my knowledge to offer fear and terror at a summer camp. That sets up a tradition that so many other films and tv shows have used since, and is something that can be relatable to many people. Final Ranking: The killer’s point of view shots, along with the continued guessing of who the killer may be kept me engaged throughout this entire film. In addition, not knowing who or if anyone was going to end up alive at the end also kept me glued to the action. I loved that each death was done in a different way and my knowledge of Jason the killer was definitely a misdirection that I think unfortunately not many people get the chance to enjoy. This movie certainly has its flaws, however. I wish there was a little more plot going on, maybe some background on some of the characters. While people kept dying, I never felt connected to them in anyway that might make me more happy or sad of their end. Ultimately though, I give this film a…. Don’t forget to listen to my podcast every Monday (Last Action Podcast) with LPJ, and I hope you consider being a patron, click the banner below to sign up. For October, our patrons get a special podcast only for them as LPJ and I discuss the career of legendary director John Carpenter.